This is a very woody, yet at the same time lactonic, creamy scent. There is a good deal of spice in this, and some perfumer-arty things like bergamot, moss, and clary sage (very sophisticated and traditional notes). Kashmir wood in the top is backed up by vetiver, cedar and patchouli in the base. The labdanum in the heart gives aid to the creaminess, yet veering off a little toward ambergris, its closest scent equivalent. 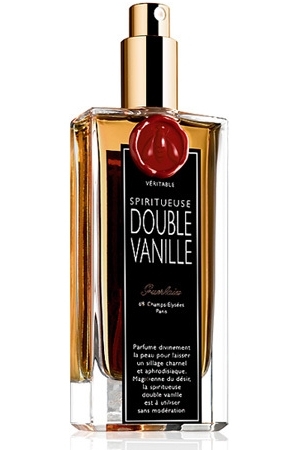 Tonka and vanilla add an oriental dimension and a roundness to the woody and spicy notes. To me, this is one of the best of the Costume National line; milder, but at the same time more complex, better balanced and more skillfully constructed than the other offerings from that house. This is also an EdP strength. A very welcome addition from Costume National, and a clear demonstration of how good their stuff can be! Kudos to Juliette Karagueuzoglou, the nose responsible for this. Last edited by JaimeB; 12th December 2009 at 05:52 AM. Featured notes: Fresh greens, white muguet, english ivy, sheer woods. Gucci pour Homme and Michael for Men mix. Last edited by Ronin; 13th December 2009 at 02:29 AM. Shop Early For X'mas 30% Off Storewide! Last edited by ebear; 12th December 2009 at 10:29 AM. For swap/sale: Fougère Royale, AdP Colonia Club, Tauer Lonesome Rider, MDCI Cuir Garamante, vintage Tiffany for Men, 1 Million Intense, Montale Cuir D'Arabie, Bentley Intense, Prada Amber PH Intense, Prada Amber PH metal travel spray, Loewe PH, M7 gel, Roma (women's), Obsession, others. My SOTD is Carlos Santana for Men. C&E Sienna, wishing they still made the Sienna shaving cream!